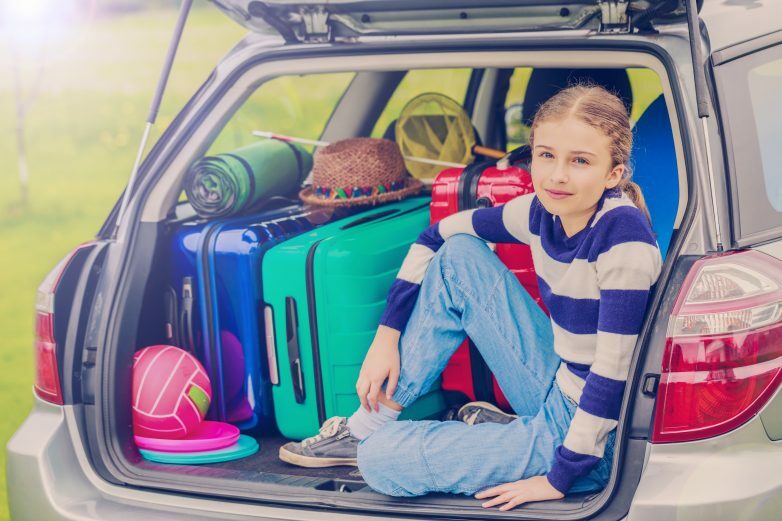 Let us set the scene…..You spent days packing up your mini van for your first summer road trip with your littles and it was not a walk in the park. 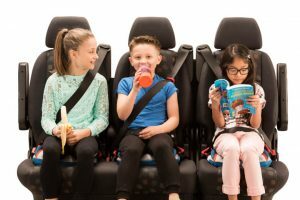 With tents, sleeping bags and fishing rods in the roof box and everything else squeezed into every nook and cranny of your car, it’s now time to load your kids into their BubbleBum Booster Seats for the 6 hour drive ahead, cue the madness! There are several things that you can do to make your journey more bearable and although you are creating wonderful irreplaceable family memories, travelling with your kids in a confined space for more than a few hours can test even the most patient of parents. As your kids will be sitting in the car for a long journey, it is important that they are not only safe but comfortable. The BubbleBum Booster Seat is unlike the traditional rigid booster seat as it is soft and the memory foam inside provides extra comfort and support, perfect for those long car journeys. The BubbleBum is also slimline and lightweight meaning that you can fit three in the back comfortably and also save on space, meaning your littles will not be travelling in a cramped backseat. To keep your kids comfortable make sure they have neck pillows for when they are tired and a small travel blanket if they get cold. There should not be any lose items in the car, everything should be properly restrained in case of a collision. There are some super in-car organisers on the market to help organise all the things you need for your trip and also to keep smaller items secured while travelling. It is also important to have regular breaks when travelling with your kids no matter if they are toddlers, tweens or teens! A restless child is not a happy child and boredom can be killed by a short pit stop to stretch legs, burn off all that contained energy or a restroom break. Make sure to stop somewhere safe like a dedicated resting stop or service station as the roadside can be a dangerous place for a little person. Another great point to remember is to leave the sugar at home! Giving your kids sugary snacks and drinks will not only send them into a tizzy, it will cause a cranky slump which is not cool when couped up in the car. Instead why not make some refreshing fruit infused water at home and bring it in a small cool bag in the car. Snacks such as fruit, nuts, popcorn or sandwiches are also great car snacks as they are low in sugar but filling and healthy. Kids can get bored when travelling long journeys – it is a great idea to pack each child a small travel bag filled with fun things for them to do during the journey. A new toy like some small lego can keep your child entertained for some time in the car. Coloring pencils and a book are also great and as well as giving them a small stress ball to occupy their hands. Most families have a tablet – prior to departure download some new games, videos or movies for your child to watch on the journey and make sure the device is fully charged, this is good to pull out when things get tough and the kids are tired… just don’t forget to pack the charging cable! There is also lots of fun in car games that all the family can play. In the playroom have some great activity sheets that you can download for free! It is also a good idea to have some music that your children can sing along with, if you have a CD player in your car keep a few CDS in the glove compartment. If you can connect your ipod to your car stereo make sure you have downloaded some children’s music, for example a nursery rhythm playlist or a Disney soundtrack playlist. Audiobooks are also super as your children can listen to stories on their road trip. Some other useful tips are to have a rubbish bag in your car – a Tupperware cereal box with a bag in it is ideal as it has a lid and you can put your rubbish in and then remove the bag for easy disposal. It is also good to have wet wipes at hand and a packet of tissues as your littles can get sticky or spill water etc on their journey. It is also helpful to have a spare pair of clothes for your littles at hand in case of any accidents. A wet child will soon become a crying child! So prepare for many situations! The most important tip is to check your car over before a long journey or road trip make sure it has enough water, oil, fuel and that all lights etc are working… the last thing needed on a trip is a breakdown!